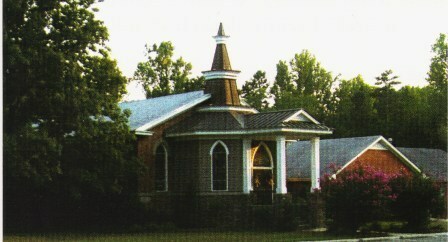 "Growing God's Family One Seed At A Time"
Welcome to Rives Chapel Baptist Church! Founded in 1832, Rives Chapel Baptist is located in the beautiful and quiet countryside of Chatham County, near Siler City, N.C.
We are a church that is historically influential, strong in tradition, and standing firm in our beliefs. Come visit us at Rives Chapel Baptist Church today..."the traditional church that is meeting the contemporary needs of our growing community!" We are grateful that you have taken this opportunity to visit our site. Our goal at Rives Chapel is for the Lord to meet your greatest needs in life as your relationship with Him grows stronger every day. Please take the time to browse through our web site and learn more about our church, and who we are by selecting the tabs on the left side of this page. Copyright 2012 Rives Chapel Baptist Church. All rights reserved.